Josh and I recently had the pleasure of befriending the proprietors of The Flour Shop Bakery in Bethlehem, PA. The Flour Shop's head bakers, Michael Corrigan and Brian Murphy, have commendable experience including ties to two Lehigh Valley farm-to-table restaurants, the Glassbern Inn in Fogelsville and the Farmhouse in Emmaus. The Flour Shop is a great place to get a wedding cake in the Lehigh Valley. Their designs are exceptional and taste phenomenal. Beyond their fabulous cakes, they also offer delicious artisan breads and savories, such as their yummy cheese croissant (thanks again, Michael!). 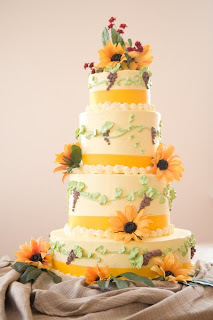 But if you are looking for wedding cake in Allentown, Bethlehem, Easton or anywhere near the Lehigh Valley, hands down, The Flour Shop is our top recommendation. 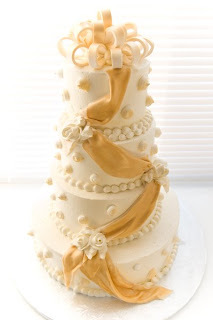 Wow...they really do design some amazing wedding cakes! 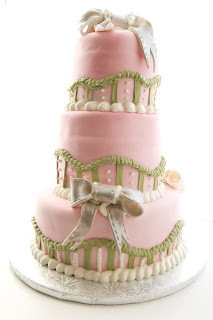 I hope your cake turns out just the way you want it! Also, the picture at the top of your blog is classic, love the face on the bridesmaid.